Daroach satisfies most of the required elements of a memorable Kirby villain. He's menacing but still mostly cute, stylish, and colorful. 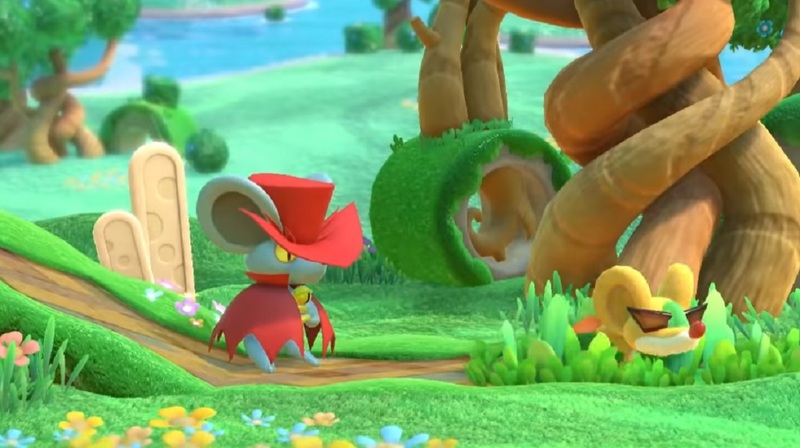 He might not have starred in the most popular Kirby game (2006's Squeak Squad), but I'm glad Nintendo remembered the ol' rat and decided to include him in the latest batch of Kirby Star Allies DLC. As a recap in case you've been living under a rock or sleeping on this awesome game -- Nintendo is giving out free DLC for Star Allies in the form of playable characters, most of which can be considered all-time greats of the series. Wave one already hit and wave two, which includes Daroach, is set for July 27. Get a quick look at his moveset in the official video below, which includes a quick dash, summons, magic projectiles, and bomb powers. He'll be joined by Dark Meta Knight and Adeleine.